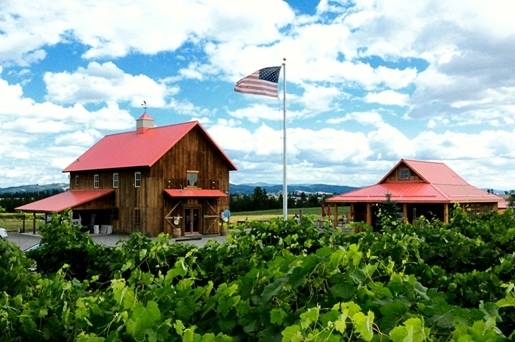 Spokane, WA (July 9, 2012) – Latah Creek Wine Cellars celebrates 30 years of wine making this July. Enjoy anniversary event specials from 9 a.m. – 5 p.m. Saturday, July 14 and Sunday, July 15, at Latah Creek Wine Cellars located in the Spokane Valley. Latah Creek is well known around the region for producing a variety of wine, including one of the best Merlots in the state of Washington, according to Wine Spectator Magazine. To celebrate 30 years in business, Latah Creek is offering 20% to 30% off all wine cases, and 30% off all gift shop items and food. Molly Allen from KZZU 92.9FM will be at Latah Creek from 10 a.m. to 12 p.m. Saturday, July 14, to help Latah Creek celebrate their 30th anniversary. On Saturday, July 14, 10% of all purchases made will be donated to Safety Net, a program assisting foster youth in the region. Latah Creek is a family owned and operated business. Mike and Ellena Conway are committed to producing high quality wine and have been joined by their daughter Natalie in the family business. Mike Conway was recently recognized by the Washington State Wine Commission as one of the Washington state wine industry “groundbreakers”. Latah Creek produces approximately 15,000 cases of wine annually using grapes from Washington. Latah Creek is located at 13030 E. Indiana Ave. Spokane, WA 99216, and is open 9 a.m. -5 p.m. daily. 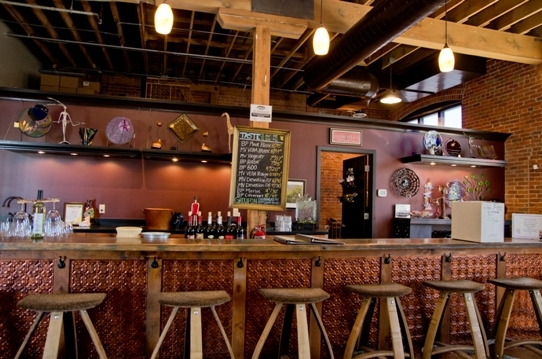 For more information about the winery visit www.latahcreek.com, or call 509.926.0164. The history of the Spokane grape vine dates back to 1980 with the opening of the now defunct Worden Winery. Jack Worden saw the potential of Washington wine and hired Mike Conway, who was working for Parducci Wine Cellars in California, to make wine. Worden’s initial efforts laid the foundation for the flourishing wine scene we now have in Spokane. Conway went on to found Latah Creek Wine Cellars in 1982, now Spokane’s oldest winery. When Latah Creek opened, there were less than 20 wineries in the whole state. Now, there are 20 wineries producing wine just in Spokane. Growth of the Spokane wine scene has been slow and deliberate over the last 30 years. Focus has been on quality and not quantity. Shortly after Latah Creek opened, Spokane welcomed Arbor Crest Winery in 1982 and Mountain Dome, a premium sparkling wine maker, in 1984. The slow maturation of quality continued in the 90’s with the addition of Caterina, Grande Ronde, Knipprath, and Townshend. At the end of two decades, 6 wineries dotted the wine landscape. During the next 20 years, the flow of wine grew at a faster clip with the addition of award winning wineries like Barrister, Lone Canary, and Robert Karl along with a cluster of boutique wineries Barili, Bridge Press, eMVy, Liberty Lake, Nodland, Trezzi, Vintage Hill, and Whitestone Winery. Another example of bringing the “Mountain to Muhammad,” as Ryan says is the most recent opening of Walla Walla’s Cougar Crest Winery at South 8 Post Ave in downtown. Cougar Crest opened a space in Woodinville and now in Spokane. “This new location, in the heart of Spokane, will bring our winery into the daily lives of the people who have shown us their whole-hearted support for the last 10 years,” said owner and winemaker Deborah Hansen. Cougar Crest was established in 2001 by owners Deborah and David Hansen. With over 50 acres of Walla Walla fruit from their estate vineyards, Cougar Crest has received high praise including 93 point scores for their Cabernet Sauvignon and Syrah. While Spokane may never be home to over 100 wineries like Walla Walla and Woodinville, we can be sure that growth will continue as Spokane residents continue to increase their palate for quality wine. 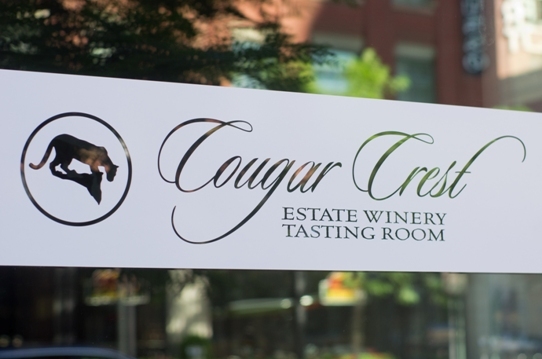 In September, Cougar Crest Estate Winery celebrated the Grand Opening of their new tasting room at 8 North Post, Suite 6 in the Downtown Art District of Spokane, Washington. All of the Cougar Crest product line is available at this location, including tasting, organized flights, and glass pours. Local artists are showcased in the gallery for viewing and sales. The tasting room is open Thursday – Monday, Noon- 7pm. “This new location, in the heart of Spokane, will bring our winery into the daily lives of the people who have shown us their whole-hearted support for the last 10 years” said owner and winemaker Deborah Hansen. 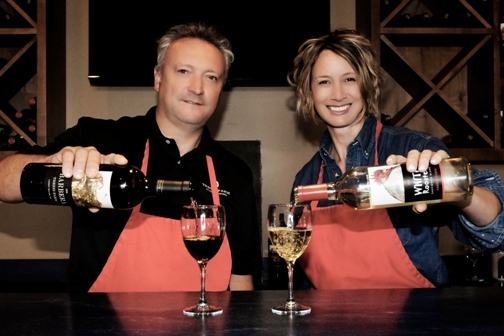 Raised and educated in Eastern Washington, Deborah and husband Dave have been waiting for the opportunity to expand Cougar Crest Estate Winery into the bustling Spokane market for over a year. The new tasting room is affiliated with the Spokane Winery Association, the Spokane Convention and Visitors Bureau, and the Greater Spokane Chamber of Commerce. 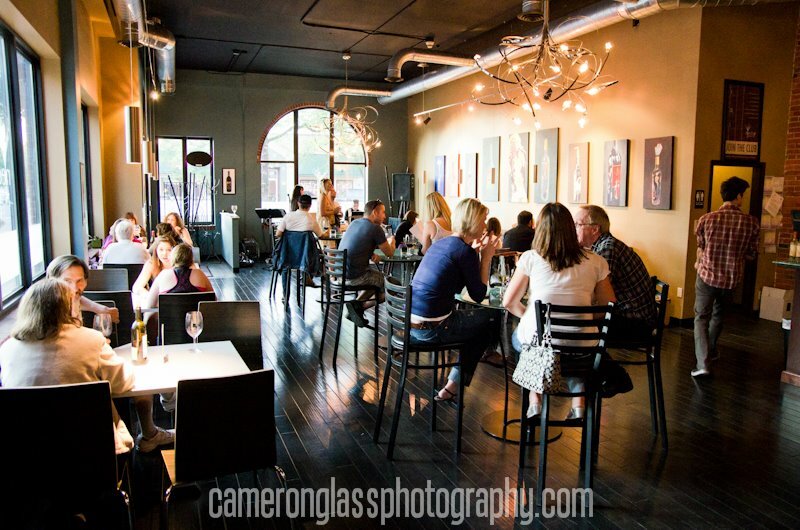 The tasting room is also open for all of the “First Friday Artwalk” events held downtown on the first Friday of every month. The Spokane connection continues with tasting room manager Sam Crosby. Sam grew up in Spokane and also went to school at Gonzaga. “I am excited to introduce Spokane to some well rounded Walla Walla wines.” The location on Post Avenue is adjacent to the Davenport Hotel and across the street from the popular Post Street Ale House. Visitors will enjoy the 1500 square foot modern space with a beautifully under-lit bar as the central piece. Just down the street is shopping at Riverpark Square. 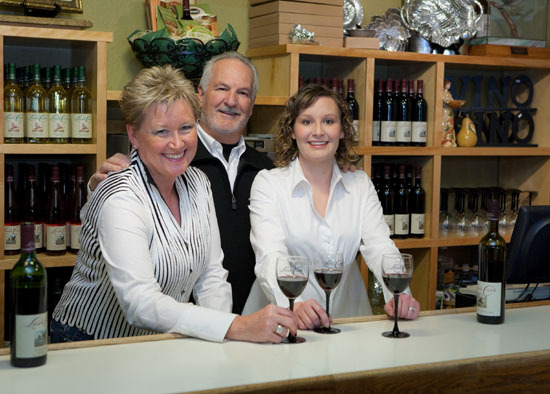 Cougar Crest Estate winery was established at the Walla Walla Airport in 2001 by Deborah and David Hansen. Owners of 50 acres of vineyard, all in the Walla Walla Appellation, they have sold wine grapes to other wineries for years. The move into making wine has been a natural progression for two people with strong backgrounds in science and a love of fine wine. The University of California at Davis offered many winemaking classes that both David and Deborah attended. The first vintage was 900 cases. Cougar Crest is currently producing between 8,000-12,000 depending on harvest. Cougar Crest’s line up of 17 wines will be available in various tastings for guests to enjoy. Everyone needs to have a place where he or she belongs, with a comfortable, welcoming atmosphere and a clear sense of family. It’s this enormous feeling of community, and great wine, that transformed Marketplace Wine Bar from an ambitious dream to a thriving reality in a very short time. A seemingly little advertising approach was greatly surpassed with the bout of encouraging reactions from satisfied customers and positive word of mouth. Nestled slightly east of downtown Spokane on the corner of 2nd and Browne, the tasting room is located inside the new Spokane Public Market. According to Valerie and Melody, part owners of EMVY Cellars and Bridge Press Cellars, respectively, the location seemed to fit perfectly as the spot to exclusively pour their wines. With a budding downtown scene and the ever-growing desire from consumers to support local, the appeal seemed irresistible. Maintaining a very friendly relationship with the other venders and utilizing as many products sold in the marketplace as possible, the entire building itself helps enforce the goal of fulfilling a community venture, more than a business opportunity. The fundamental set-up is very convenient carrying on the tradition of a one-stop shop. Anyone can buy their meat, purchase fresh vegetables, and taste some wine to buy on the way home for dinner. For those who want to settle in, Marketplace Wine Bar openly welcomes outside food to be consumed in the space while serving their own hummus platters and high-quality cheese trays for a perfect marriage of wine and light foods. EMVY gets its name from the pronunciation of the first letters of the owner’s names, Mark and Valerie Wilkerson, as “M” and “V”. The owners of Bridge Press, Brian and Melody Padrta, met at the age of fifteen while caddying for players at a Bridge tournament in the now-dilapidated Ridpath Hotel, hence their name and label. Both owners jokingly attribute their collective passion for winemaking as a “hobby gone wild”. Casually meeting as motivated consumers tasting at The Wine Cellar, by 2005, the two labels teamed up with Grande Ronde and Mountain Dome to start their dreams of producing fine wines. The two couples quickly gained experience with the help of mentors and knowledgeable friends within the local wine industry such as David Westfall, John Mueller, and Michael Manz to name a few. As Valerie from EMVY states, “once we got going, it was all about drink and spit” until they got it right. Sourcing a majority of their grapes from the Pepper Bridge and Seven Hills Vineyards within the Walla Walla Valley AVA, the wineries work together in the same production facility, but blend their own wines and take different approaches using varied aging lengths, blending percentages, yeasts, etc. Both wineries use 100% French Oak. Bridge Press Cellars’ premier wine, their Cabernet Sauvignon, is a blend of 85% Seven Hills Cab, 12% Pepper Bridge Merlot, and 3% Seven Hills Malbec. They also carry a Merlot, Pinot Blanc, Rose, and 600 Red Blend for being the 600th winery in the state. EMVY uses 58% Seven Hills Cab, 38% Seven Hills Merlot, and 6% Pepper Bridge Merlot grapes for their Bordeaux style blend aptly named “Devotion” considering Mark and Val met at the age of four. You can also check out their other varietals, Veba Blanc, Veba Rouge, and Viognier. All wines are available on site. All in all, with a mantra of “make the wines you like to drink” and an attitude to create a neighborhood within the constraints of a city, Marketplace Wine Bar is a grand addition to Spokane and seems to be marking its spot as a unique, permanent downtown destination. In subtle but noticeable ways the personality of the city of Spokane changes at the end of the first week of each month. That’s when our spirits rise and Friday night is suddenly a bit more festive than the usual drop-down-on-the-sofa-with-a-beer night in front of the TV. Suddenly people aren’t thinking about driving straight home or heading out of town the minute they shut off the computer and push away from the desk. This is the night for a party at “our place.” Facebook chats are initiated. Phone calls are exchanged. Texts are sent. Emails go out. Plans are made. As the day fades, bright lights spill out of the windows of downtown shops, galleries, wine bars and businesses. The city’s sidewalks are a constant parade of men and women out to have a good time on a beautiful night; some dressed to the nines in sky-high heels, short skirts, silk ties and jackets, others still in workplace Friday-casual khakis. Some are come-as-you-are in jeans and t-shirts. It doesn’t matter what you wear. This is First Friday in Spokane. There is a different vibe in the air. 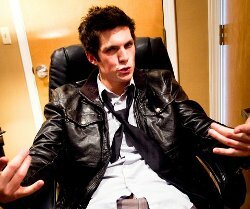 This is the night the party stays here in town. It’s when friends gather at a favorite meeting spot and the air is filled with the sound of laughter, the congenial clatter of knives and forks on pottery plates and the ring of wineglasses as they touch in a friendly toast. It’s when established and “new kid on the block” local artists bring out their best work and turn unexpected venues into chic uptown, upscale and upwardly mobile gallery spaces. Wine flows, friendships deepen and relationships take it up a notch. First Friday is Spokane’s night on the town, when art, music, food and wine shine brightest and everyone comes out to play. 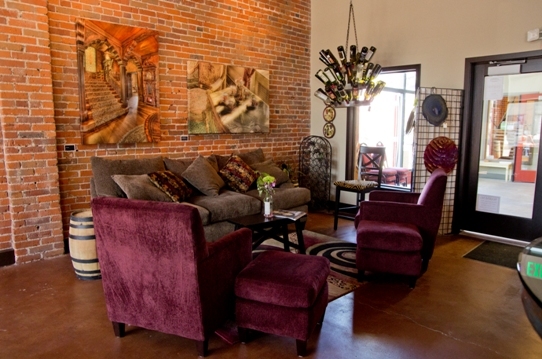 Located in the heart of downtown Spokane across from the Steam Plant restaurant at 906 W. 2nd Avenue , Grand Ronde Cellars, produces single vineyard and Bordeaux Blend red wines from Seven Hills and Pepper Bridge vineyards. The tasting room holds an artist’s reception from 5- 7 p.m. on First Friday. Be there. Be Ronde. Housed in a funky rail-side building down one of the coolest alleys in town, Barrister Winery, at 1213 West Railroad Avenue, is the go-to the place for First Friday avant-garde art and down-home blues. The monthly artist’s reception runs from 5-7 pm with wine by the glass or bottle. Beacon Hill catering provides a tasty “bistro buffet” from 6-8pm. Carnegie Square, anchored by the stately former Carnegie Library Building, is where you will find Whitestone Winery tasting room at 115 South Cedar. First Friday festivities include live music and appetizers from 6-9p.m. Vintage Hill Cellars holds court in the south-of-downtown SoDo district at 319 West 2nd Avenue. 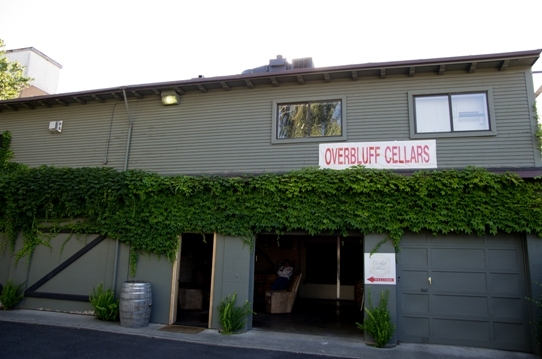 Just-released 2007 Cabernet Sauvignon and Merlot from the Walla Walla Valley and an urban vibe make this a must-stop winery on your First Friday tour. One of Spokane’s newest wine-scene landmarks, Nectar Tasting Room, at 120 North Stevens, is a not-to-be-missed stop on the First Friday wine trail. With rotating exhibitions of art from local talent, the best in live music and over 40 wines from five Washington wineries to be enjoyed by the bottle or the glass, Nectar is First Friday headquarters for those in the know. 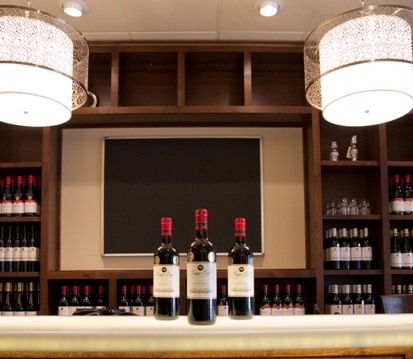 Emvy Cellars and Bridgepress Cellars joined to create Market Place Wine Bar and tasting room, located at 32 West 2nd Avenue, just a few months ago and already they have garnered fans of both the wines and the location. 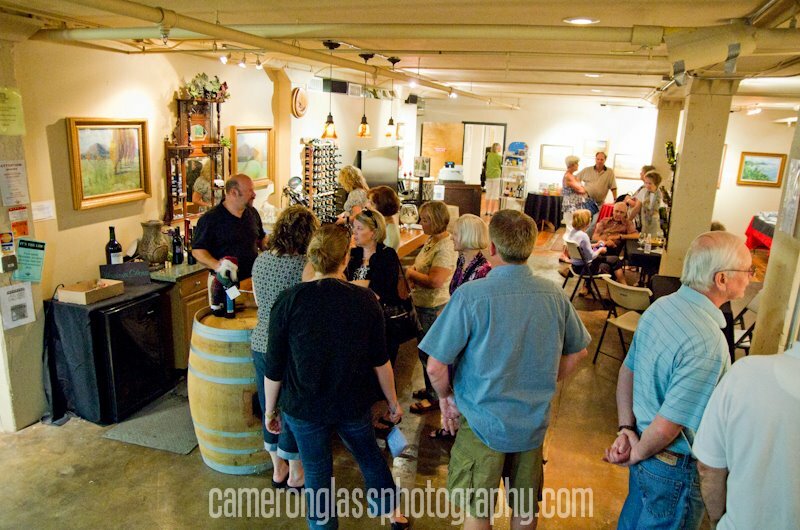 Nodland Cellars, 11616 E Montgomery Drive, is spearheading the Spokane Valley winery presence in the monthly Art Walk held in conjunction with Spokane’s First Friday celebrations. Stop in for fine wine, fine art and live music. Welcome to issue number two of Spokane Wine Magazine. What started out as a personal goal to visit all of the Spokane wineries has become a quest to let the world (or at least our little corner of the world) know about the amazing quality of our regional wineries. Over the last year, Spokane wine has received statewide and national attention as wine writers and customers take notice of the attention to craftsmanship. 25 wineries now call Spokane home through production or satellite tasting room locations. 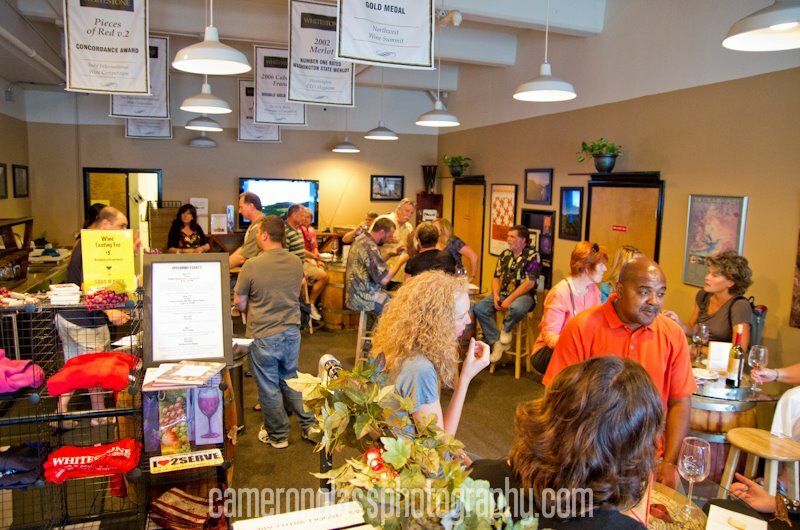 2011 saw the opening of Nectar Tasting Room, Marketplace Wine Bar and Cougar Crest Winery. We also saw the rebranding of one local winery and the merger acquisition of Spokane’s only sparkling manufacturer. Arbor Crest rebuilt the Cliff House mansion after a 2009 fire and our region’s oldest winery is nearing the 30 year old mark. As the economy continues to struggle, no new Spokane production wineries opened (a first for the last 4 years). In this issue you’ll be introduced to two wineries just outside of our region but within a short drive, we’ll explore downtown and uncork some ideas for holiday wine shopping. You’ll also notice funky square boxes on most articles. These QR Codes can be scanned by smart phones and take you to additional content, maps, or winery web sites. We hope the additional information is helpful. 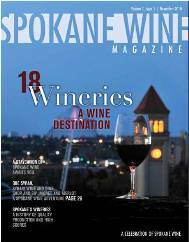 To stay connected to ongoing Spokane wine news and events please bookmark http://www.spokanewinemagazine.com and visit the sponsors and advertisers in this publication. I want to offer a special thanks to the Spokane Convention and Visitors Bureau and Rainmaker Marketing for their support and vision to help make this magazine possible. 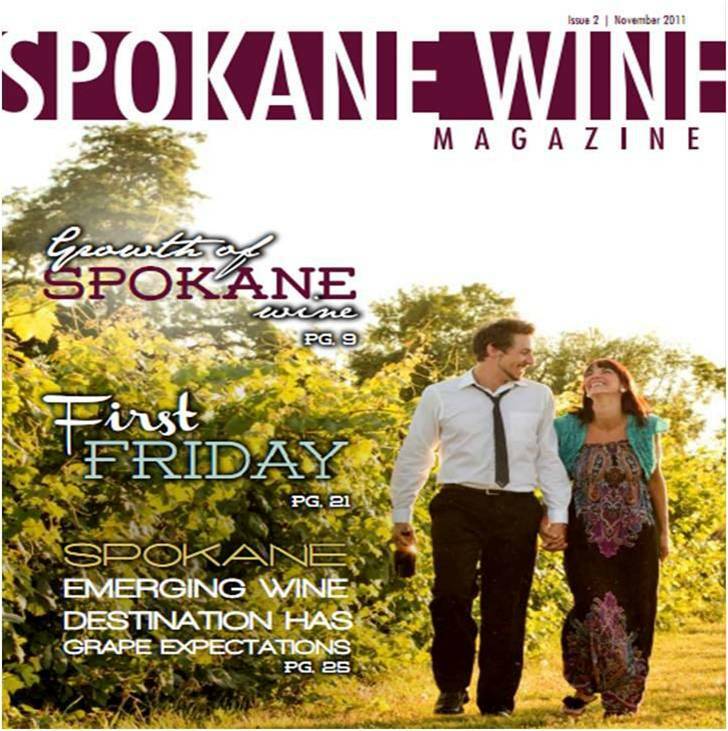 You can pick up a free copy of the magazine at all area wineries, at many of the sponsors and advertisers and at the Spokane Visitor’s Center. One part Italian food, one part Italian wine, mix in a country hillside and a dash of vineyard, round it out with a large helping of family and love, you have Trezzi Farm Food and Wine. No other tasting room in Spokane offers food pairings such as Polenta Marinara and Caprese Pasta along with estate grown Northern Italian wine. You had me at Italian food. Davide and Stephanie Trezzi moved to Spokane in 2005 on a friend’s insisting and fell in love with the Greenbluff area. There, they bought 22 acres of land and began their new adventure. Trezzi makes food that is simple, full of flavor, and expresses what he grew up eating. “We’re simple people, we make simple food that is full of flavor,” says Davide. After opening the catering business, the Trezzi’s (pronounced with the same ‘zz’ as pizza), planted a vineyard. A vineyard in Spokane, “what the heck was I thinking,” Davide recalls. This adventure in farming explored the planting of Italian grapes Barbera, Nebbiolo, and Dolcetto. In 2008, Davide and Stephanie finally saw the fruits of their labor as they collected their first harvest of Barbera. Recently the Trezzis planted additional acreage of Pinot Grigio and Pinot Nero (Pinot Noir). Weather permitting we should see this experiment in Spokane winegrowing produce a harvest. Times were tough. Growing grapes in Spokane is not an easy task. The Trezzi’s battle the short growing season, unpredictable frosts not to mention the deer, birds and wind. One day a fierce wind threatened their dream of estate vineyards with gusts that knocked the canopy off the trestle. Davide was faced with the choice to leave the newly planted vines to lay windblown and useless or work to reattach the vines to ensure a future harvest. “They become almost like your children,” Stephanie said as we drank from the result of Davide’s decision to work late into the night. Trezzi, along with winemaker Don Townshend, created 287 cases of estate grown Barbera, (the only vintage grown estate fruit in Spokane), and a Columbia Valley Sauvignon Blanc. 100% of the wines are sold out of the tasting room. In 2010 the Trezzis will begin making their own wine. Trezzi Farm caters with their fantastic Italian menu of pasta, polenta, lasagna, meatballs, appetizers, rustic chicken and tri-tip beef. On any given day people can be seen picking up pre-packaged meals to take home. Now, there is a wine to pair with those meals. On a side note, the Trezzis have opened up their farm as a venue for weddings and private events. Do yourself a favor and plan a trip to Greenbluff. Stop by the tasting room (the trezzis former tractor barn) and enjoy some wine and food. Before you leave, buy a bottle or two of Barbera and some lasagna, and enjoy a meal that is completely created here in Spokane.